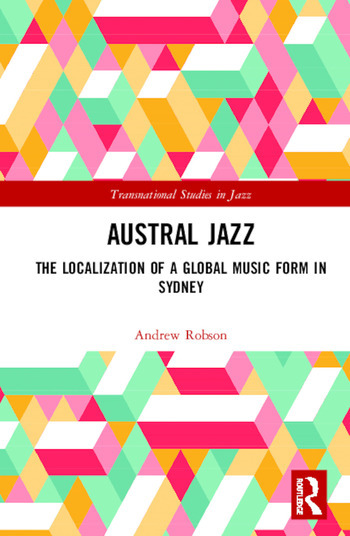 Austral Jazz: The Localization of a Global Music Form in Sydney proposes a new theoretical framework for understanding local jazz communities as they develop outside the United States, demonstrating such processes in action by applying the framework to a significant period of the history of jazz in Sydney, Australia after 1973. This volume introduces the notion of ‘Austral Jazz,’ coined in order to reset the focus on supranational conceptions of jazz expressions in the southwestern Pacific. It makes the case for Austral Jazz chronologically across six chapters that discuss, interpret and critique major events and seminal recordings, tracing the development of the Austral shift from a pre-Austral period prior to 1973. Austral Jazz presents a fresh approach to understanding the development of jazz communities, and while its focus is on the Sydney scene after 1973, the ‘Austral’ theory can be applied to creative communities globally. A creative shift took place in Sydney in the early 1970s, which led to the flourishing of a new kind of jazz-based expression, one that reflected Australia’s increasingly globalized and multicultural outlook. This study is timely, and it builds on the work of local jazz researchers. Historiographical understandings of global developments in jazz can be understood within a framework of four overarching narratives: The ‘birth and belonging’ narrative; the ‘spread and adaptation’ narrative; the ‘pluralization by localization’ narrative; and the ‘self-fashioning of the already local’ narrative. Andrew Robson teaches and researches Music Studies in The Department of Media, Music, Communications and Cultural Studies at Macquarie University, Sydney, Australia.